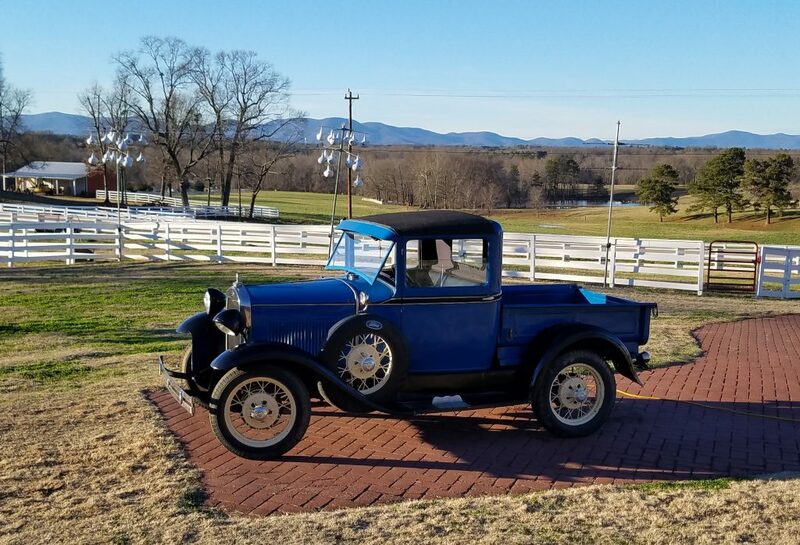 My friend Clarence recently acquired this very cool truck… which I actually found on facebook ads. It was ready to roll right from the gitgo  has a few minor issues but has taken us around Little Mountain a few times now. Working on the ahooogah horn…amazing that you can get new brushes for that right online. Didn’t need brushes though… it has an ungrounded motor inside and requires two leads to make it work… it was missing one but still had the original connectors inside… quite amazing. I’ve been doing handyman work as a sideline for a little over a year now and it has been both enjoyable and profitable. I would like to thank all of you that have allowed me to be your handyman. One of my more interesting encounters led to my discovery of the Cottonwood Trail on Lawsons Fork Creek. It seems I’m becoming more connected to this creek.. It seems to be everywhere I’m fond of frequenting. I enjoy riding a motorcycle and often ride on Hanging Rock road which borders the creek there at Valley Falls. It also borders the property at USC Upstate… its not so obvious there but I recently discovered that there are some nice trails alongside the creek there. Most recently I discovered the Cottonwood Trail by accident… I have a customer whose property is very close to the creek in the Fernwood area. After finishing a job there I saw a sign for the trail and decided to check it out. 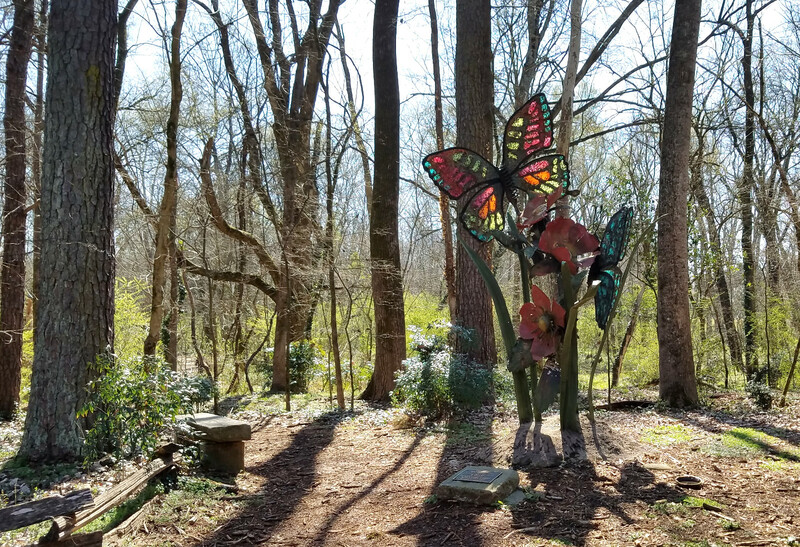 It is a 115 acres preserve complete with a boardwalk and nice trails in the heart of Spartanburg… if you’ve never been there you should check it out. This is the view from my friends window… Lawsons Fork Creek is just across the road… they had this killer piece of glass art… A 12 inch cube of fused glass with an incredible amount of detail in the colored cube in the center.